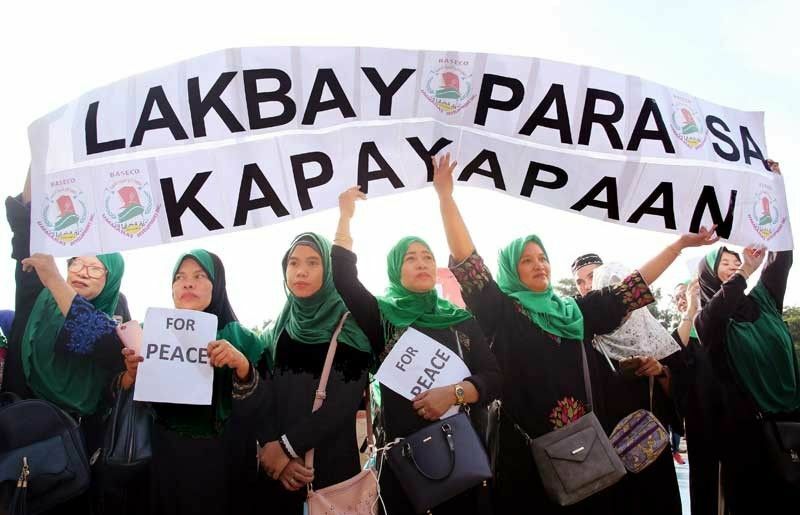 Emmanuel Tupas (The Philippine Star) - February 4, 2019 - 12:00am MANILA, Philippines — Around 2,500 Christians and Muslims participated yesterday in a so-called solidarity walk in Quezon City against terrorism following the bombings in Jolo, Sulu and Zamboanga City. Police officers led by National Capital Region Police Office (NCRPO) chief Director Guillermo Eleazar joined the activity. Eleazar lauded the leaders of Muslim communities for showing their stand against any form of violence. He said the solidarity walk is an act of goodwill to send a message that Christians and Muslims are united against lawless groups out to sow terror. Former Sulu congresswoman Nur-Ana Sahidula, who was present during the activity, condemned the perpetrators of the Jolo bombing that left 22 persons dead. The event ended with the signing of a peace covenant by the participants. They threw doves in the air as a gesture of unity. The NCRPO will remain on full alert to prevent violence in Mindanao from spilling over to Metro Manila, Eleazar said. He urged the public to remain vigilant.